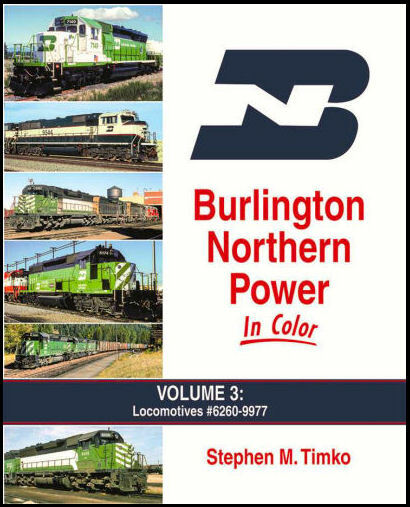 Burlington Northern Power in Color, Volume 3 wraps up the coverage of this colorful, multi-road merged company. We’ll visit the shops, yards, and right-of-way to view the second-generation models such as SD38-2, SD45, F45, B39-8E, SD60 and SD70Mac’s, and the E’s and SDP’s as well as the F-units assigned to passenger duties. Hard cover.